As Google algorithms have improved, it has become clear that plumbing websites require quality links in order to rank on Google SERPs. However, this does not condone participation in link spamming or manipulative link building. To rank on Google, and stay there, you will need high-quality backlinks from reputable websites. How Do You Create A High-Quality Backlink? From a Relevant, Trusted Source: A high-quality plumber backlink should come from trusted plumbing sources, such as a popular forum about plumbing repairs, or from a quality website that facilitates reviews on plumbing services. Increases Site Traffic: One of the main purposes of a quality backlink is to increase traffic to your plumbing company website. A quality backlink will be posted in a prominent position on the page linking to you. Links in comment sections are typically not quality backlinks. From Inside Content: As mentioned above, backlinks in the comment section are typically considered unnatural. 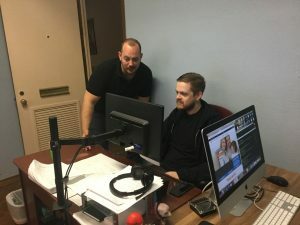 However, if an editorial page includes your link in the content of their article, that is considered a high-quality link, as it was important enough for the page writer to include in their content. Non-Reciprocal: In the early years of unnatural links, many websites would exchange backlinks for backlinks. While you won’t be penalized for this, higher quality backlinks exist when another website links to you, but you don’t link to them. Varying Sources: Quality backlinks should come from different, reputable sources. Simply put, having 15 backlinks from 15 unique and trustworthy plumbing authorities is better than several hundred backlinks coming from the same 4 websites. Included With Authority Backlinks: Another ranking measurement for quality backlinks has to do with which backlinks surround it. If you are listed in an article with other backlinks that lead to authority plumbing websites, your backlink will be considered in the same ranking tier as the others. Google tends to operate its business like other ethical corporations throughout the business world. They reward behavior that contributes to its user’s overall experience while penalizing behavior that attempts to manipulate or deceive those same users. Any time you are faced with a link opportunity that might blur the lines, its best to consider it from Google’s perspective and attempt to answer the basic question of whether or not it enhances user experience. If the answer is no, erring on the side of caution is the most legitimate recommendation. Never pay for backlinks, and always avoid excessive link exchanges. Link exchanges are mutual agreements to post a link for someone if they agree to reciprocate it. Additionally, you should avoid backlinks from article banks and article directory sites. 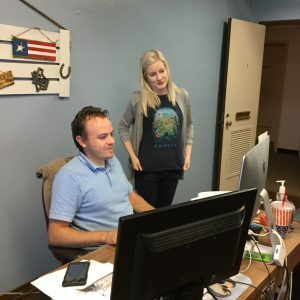 If you find yourself asking “what is tiered link building?” after researching link building tools, it’s best to avoid anyone who offers you that kind of service. 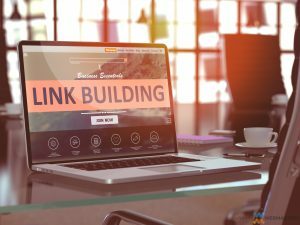 That’s because most tiered link building is based on “black hat” SEO strategies that will lead to your plumbing website eventually being penalized by Google. It is best practice to focus on earning high-quality backlinks only, as they will help you rank better, and avoid penalties from Google. Any hyperlink not tagged “noFollow” is a follow link. Google bots index all follow links for SERPs and see them as a semi-endorsement. 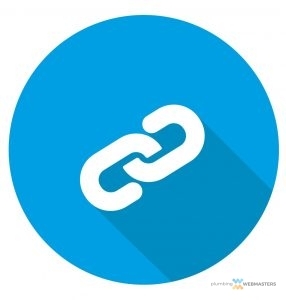 These links are great for organic SEO link building purposes. The more links you have from larger and more reputable business’ websites, the more “link juice” you get from each backlink. Hyperlinks that are tagged as noFollow links prompt Google bots to ignore those links. You can also tag links that are paid advertisements as noFollow to let Google know to differentiate between it and an unpaid link. Tagging links as noFollow help cut down on spam comment links and untrustworthy links. This is all about keeping your plumbing website as trustworthy in the eyes of the Google algorithm. While noFollow links aren’t necessarily a bad thing for your plumbing website’s organic SEO, these links carry little to no indexing value. If you’re interested in link building tools, consider Google’s Link Disavow tool. Launched in 2012, it is a great way to improve your plumber SEO and remove any penalties from your site. Essentially, the tool allows you to disavow unnatural links that you cannot otherwise remove, whether they are flukes, or gained from improper link building tactics in the past. This helps you take existing penalties off of your site. Google also has a disavow tool tutorial. Keep in mind, professional assistance is recommended for any link disavowals. Plumbing Webmaster’s offer link audit and analysis for plumbers to help local plumbing companies evaluate and improve their rankings on Google. We help your business with quality link building services, and comprehensive SEO services designed to increase your online visibility and client conversion rates. Proper link building strategies not only improve your brand awareness, but they also give your plumbing website more authority. Don’t let link penalties drag your plumbing company down in search engine rankings. If you’re concerned that your plumbing business has been affected by unnatural link penalties, contact Plumbing Webmasters at (877) 388-9884 to learn what we can do to fix the problem for you. Updated on April 9, 2019 at 7:41 pm by Plumbing Webmasters.